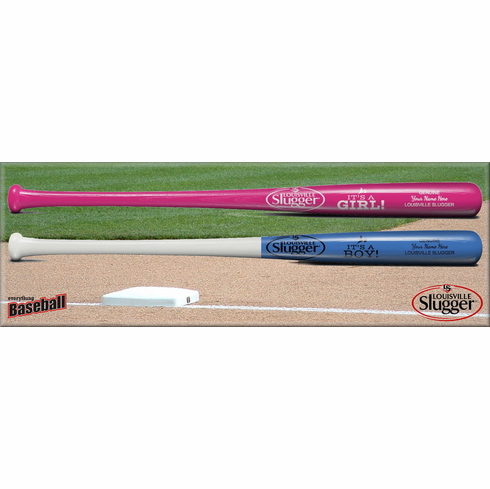 It's A Baby Girl Pink Louisville Slugger Personalized Custom Engraved 34" Souvenir Wood Bat. Up to four lines can be laser engraved - maximum 24 letters and/or spaces per line. Souvenir bat for display...not intended to be used to hit baseballs. 34" long, 2 3/4" diameter barrel.